We developed two suites of bioinformatic software tools to meet the needs for MS-based neuropeptidomic and proteomic analysis. de novo sequencing is always used for endogenous peptide identificaiton due to no genomic information available. We developed two strategies to improve endogenous peptide identification. Hypep:A hybrid strategy combining precursor mass match and homology database search to enhance peptide identification. ASAP:(under construction)A divide and conquer strategy developed to find motif and partial sequence, and then assemble them together to produce a peptide sequence. This suite of software is developed to improve protein identification and quantificaiton. It currently works on Mascot database search results. RT-SVR:A dynamic retention time based support vector regressor (RT-SVR) model in combination with q value assessment is described to improve the sensitivity and accuracy of protein identifications. It is currently used for Mascot search results. MsQ:(under construction)This is a label-free quantitation method for protein quantification. Spectra counts that are weighted by both precursor intensity and fragment intensity are used to calculate normalized protein index. Numerous novel neuropeptides have already been discovered in crustaceans by our lab. Several databases were compiled along with search engines as public resources. GreenNP is a database search engine which can be used to query agaist a database of Green Crab neuropeptidome.Download GreenNPDB: the database of Green Crab neuropeptidome identified by multi-fauceted mass spectrometry and in silico transciptomics. NeuroPad: (under construction)A collection of crustacean neuropeptidome consists of : 1) neuropeptides identified by multi-faceted mass spectrometry; 2) putative neuropeptides predicted by integrated transcriptomics; 3) neuropeptides mined from public databases (UniProt, NCBI etc). The pepCCScal software was created to calculate peptide CCS values from SYNAPT G2 measurements. The process begins with a comma separated values (csv) list of user-defined CCS calibrants (polyalanine). Once the calibrant IM-MS spectra are acquired, the file was opened in DriftScope for peak detection. A lockspray-corrected, non-chromatographic peak list csv was then exported. The pepCCScal software then parsed the peak list for them/z of the calibrants and extracted their corrected and centroided tD. After creating a best-fit linear regression for CCS versus reduced tD , the equation is used to recalculate the calibrants’ CCS from tD, and the calculated CCS is compared with the known CCS to determine the mean calibration error (%) and RMSE (Å2). After calibration, measuring unknown CCS can be done in two ways. In direct infusion mode, the user creates a list of peptide ion sequences and charge states for which to calculate CCS. DriftScope peak lists are exported and searched by pepCCScal in an analogous way to the calibration peak list. In HDMSE mode,pepCCScal utilized the Final Peptide csv created by PLGS. Our software extracts mass, charge, and tD to calculate the CCS of every identified peptide. To download pepCCScal, please contact ztian29@wisc.edu. 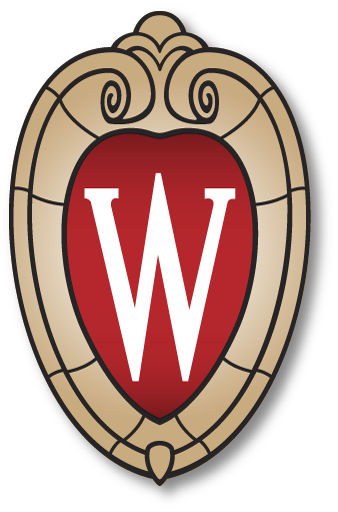 Bug reports: If you experience any problems, please send an email to wcao2@wisc.edu.